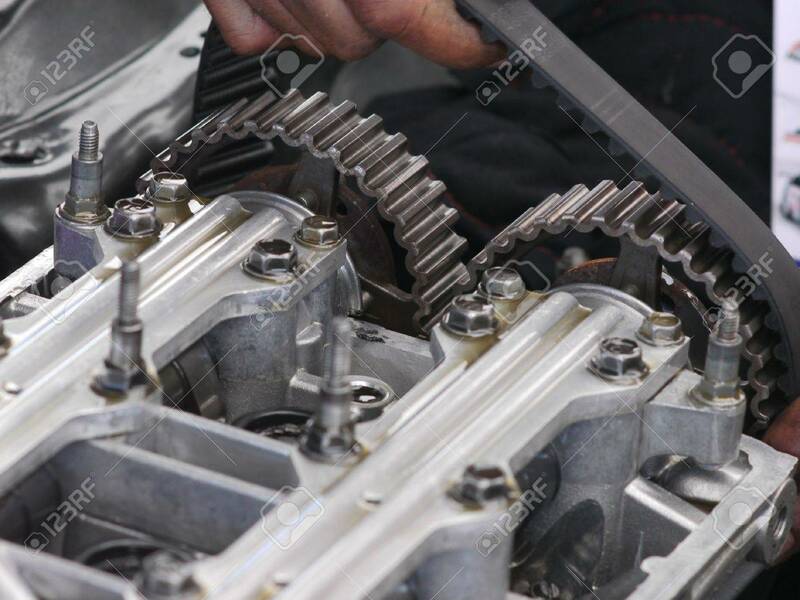 Camshaft Timing Belt Being Replaced On Car Engine With Double.. Stock Photo, Picture And Royalty Free Image. Image 7241759. Stock Photo - Camshaft timing belt being replaced on car engine with double overhead cams, DOHC. Shallow depth of field with the sprockets in focus. Camshaft timing belt being replaced on car engine with double overhead cams, DOHC. Shallow depth of field with the sprockets in focus.